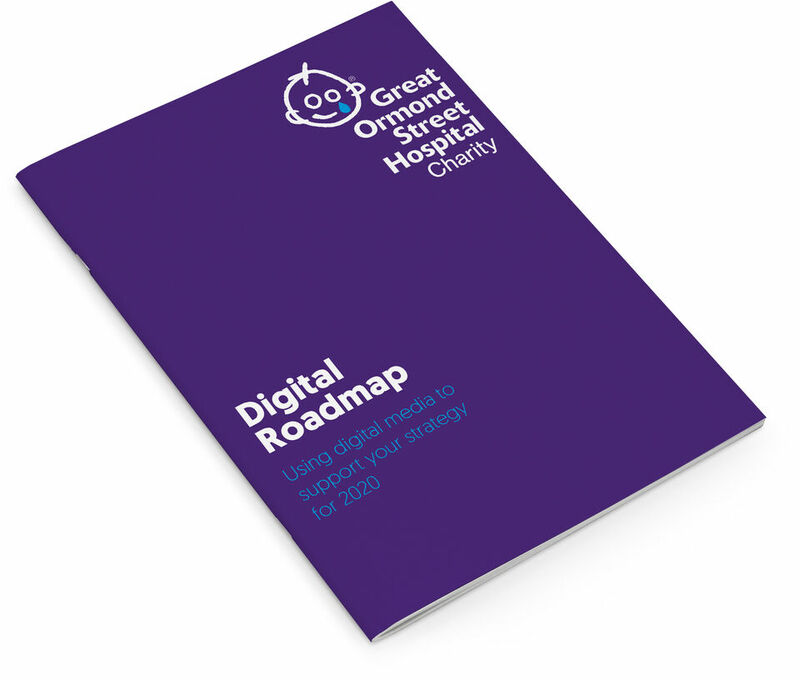 Through workshops, interviews and external assessment, we helped GOSH Children’s Charity plan their digital output to support their 2020 strategic goals. While Great Ormond Street Hospital’s brand is world-leading, their digital engagement with the public still has plenty of opportunity to grow. They approached us to help them define what that would look like for all parts of their charity. Having run programmes with other similar organisations, we were able to propose an approach that suited their risk averse culture and their leadership team’s appetite for change. Working with senior stakeholders, we defined a process that would include input from across all parts of the organisation to ensure buy-in for the digital engagement roadmap we would ultimately create. The first part of this was a series of questions which would help to understand where Great Ormond Street Hospital Charity was in terms of its digital capability. These formed the basis of a Digital Maturity Matrix, allowing the whole team to continually monitor their progress against a set of bespoke targets for their organisation. In partnership with the Digital team, we then ran a series of workshops, with seven different teams, to get their thoughts on what should be included in the Now, Next and Future elements of the roadmap. Following these workshops, we distilled the various suggestions, thoughts and comments into a document that will be used by the senior leadership across Great Ormond Street Children’s Charity to co-ordinate projects and prioritisation. William Joseph played a key role in developing our digital strategy, managing the facilitation of workshops with a range of stakeholders across the charity. Their expertise and user-centred approach was invaluable and we successfully created a solid foundation from which to base our new strategy on.